News Archives - What can we do to make you smile? What can we do to make you smile? 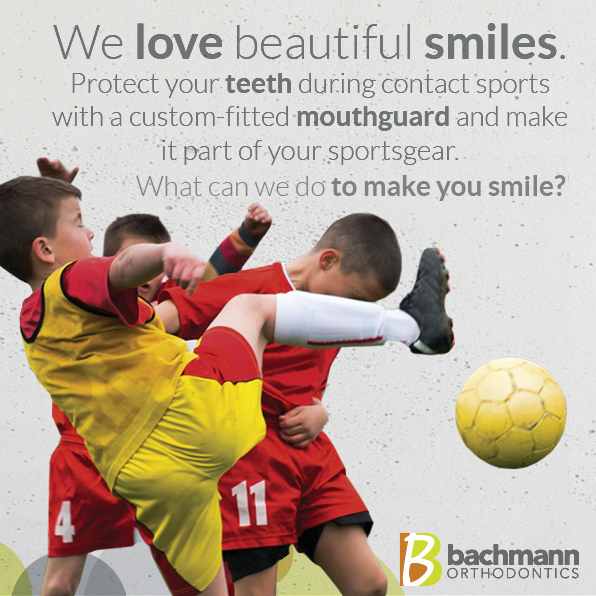 Why do you need a custom fitted mouthguard from Bachmann Orthodontics? Playing contact sports without a mouth guard has been likened to rally driving without a seat belt! A simple injury can leave you with a gap in your smile. A mouthguard is a protective device that prevents injury to the teeth, lips and gums. But not all mouthguards are created equal, and a store bought mouthguard will never give you the protection of a custom designed mouthguard. Why is a custom mouth guard necessary? Store bought mouthguards don’t encase the teeth or cover the back molars. They tend not to fit very well, lose their shape, fall out in the middle of activity, and often have to be replaced. They can also make breathing and talking difficult, and feel bulky in the mouth. A properly fitted mouthguard is especially important for people who wear braces or have fixed bridge work. A blow to the face could damage the brackets or other fixed orthodontic equipment. A mouthguard also provides a barrier between the braces and your cheek or lips, limiting the risk of soft tissue injuries. 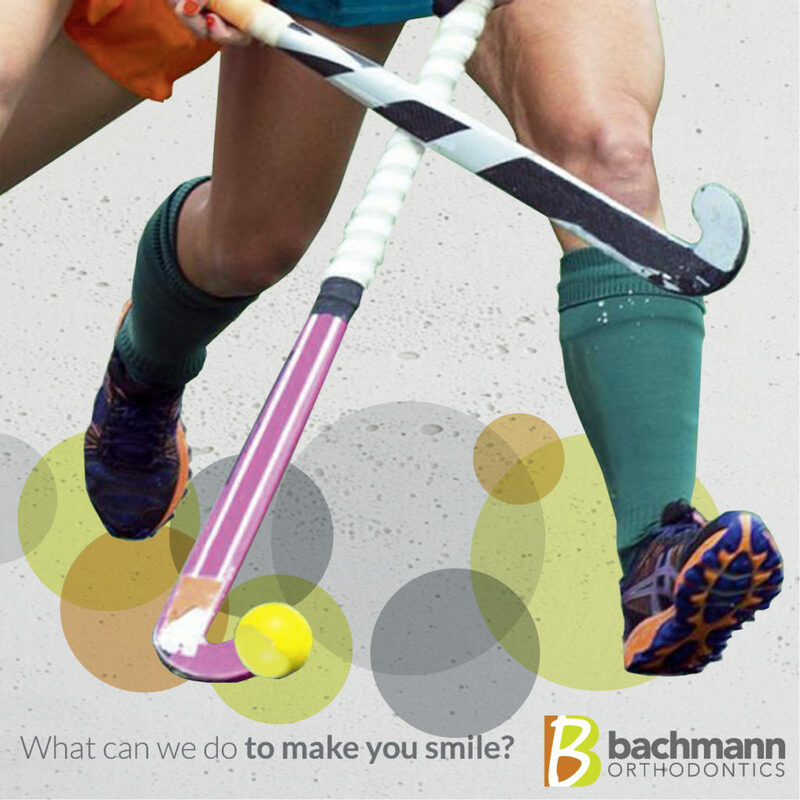 Bachmann Orthodontics in Auckland create the perfect fitting mouthguard that allows for speaking and doesn’t limit breathing. Our custom made mouthguards will stay firmly in place during action and help protect your teeth from injury. If you or your child play contact sport, make a custom fitted mouthguard part of your team uniform. Got help from a specialist? When it comes to your personal health, you want to make sure that you’ll get the best professional help. When it comes to achieving the perfect smile, you want to make sure you’re in good hands. What is the difference between a dentist with special interests and a specialist orthodontist? While dentists and orthodontists have a lot in common, specialisation is what sets an orthodontist apart. Think of it like the difference between your family GP and a specialist physician such as a cardiologist or a paediatrician. Your family’s general dentist will be able to help you to improve your overall oral health, but a specialist orthodontist is the only properly qualified person to diagnose, prevent and treat dental or facial irregularities, and correctly align your teeth, bite and jaws. As well as completing a five-year degree in dentistry, an orthodontist also undergoes a further 5,000 hours of specialist training in the field of orthodontics. Whether you or your child are being treated with braces or clear aligners such as Invisalign®, you need to be sure you’re being treated by an orthodontist to get the best results. That is why we can guarantee the result of our work. Have you seen a non -specialist and would like a second opinion from a registered orthodontic specialist. Many people think that braces are just for teens; however a growing number of adults are deciding to brace themselves and go straight. 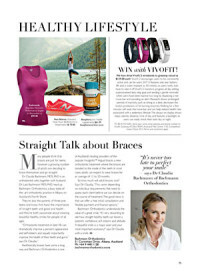 Dr Claudia Bachmann MDS, PhD is an orthodontist who, together with husband Dr Lutz Bachmann MDS PhD, head up Bachmann Orthodontics. This busy Auckland orthodontic practice in Albany on the North Shore state-of-the-art and offers the best of orthodontic technology and equipment available. Dr Lutz and Dr Claudia are also the parents of three pre-teens and know first-hand the importance of straight teeth and good oral health – and they’re both passionate about creating beautiful, healthy smiles for people of all ages. 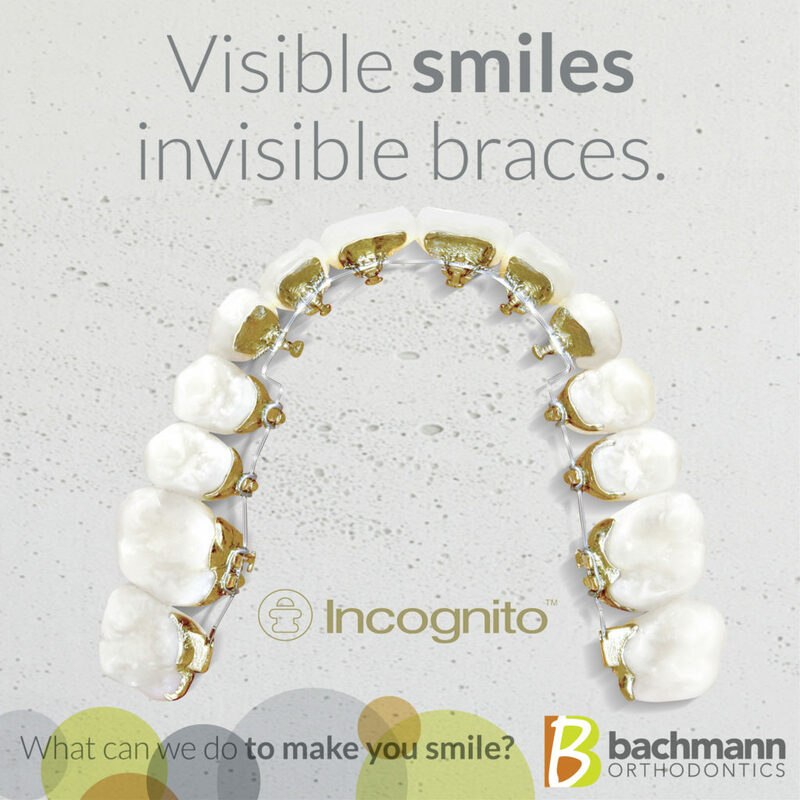 Aesthetically, braces have come a long way and Bachmann Orthodontics is one of Auckland’s leading providers of the popular Incognito braces (lingual braces), a new orthodontic treatment where the braces are bonded to the inside of the teeth. In most cases adults can expect to wear Incognito braces for an average of 12 to 20 months. So how much will adult braces cost? 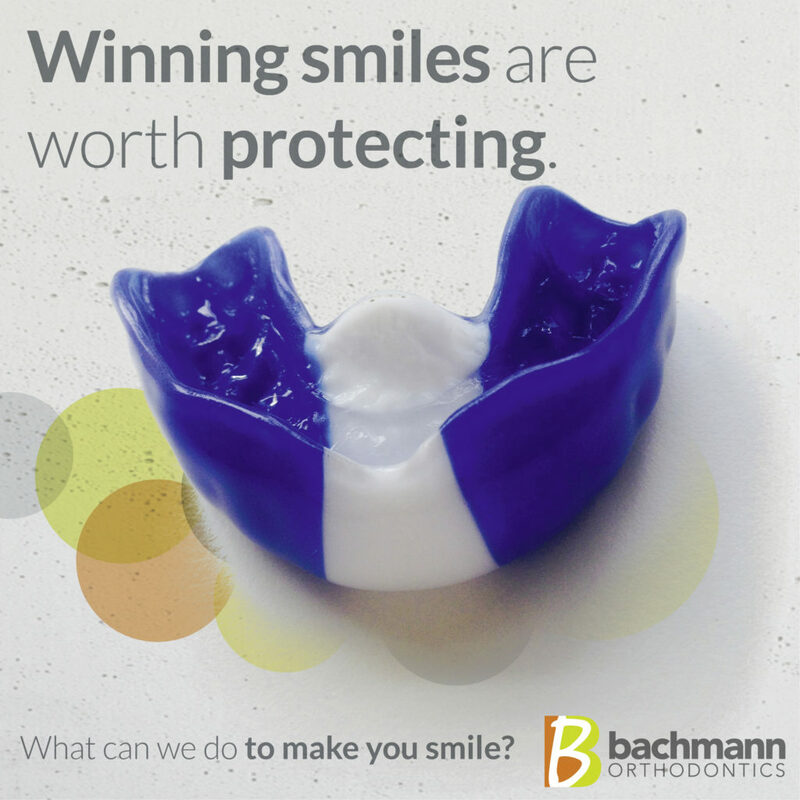 Bachmann Orthodontics understands the value of a great smile. “It’s very rewarding to see how straight healthy teeth can boost a patient’s confidence, self-esteem and attitude. A beautiful smile is a major asset and your most important accessory!” says Dr Claudia with a smile. 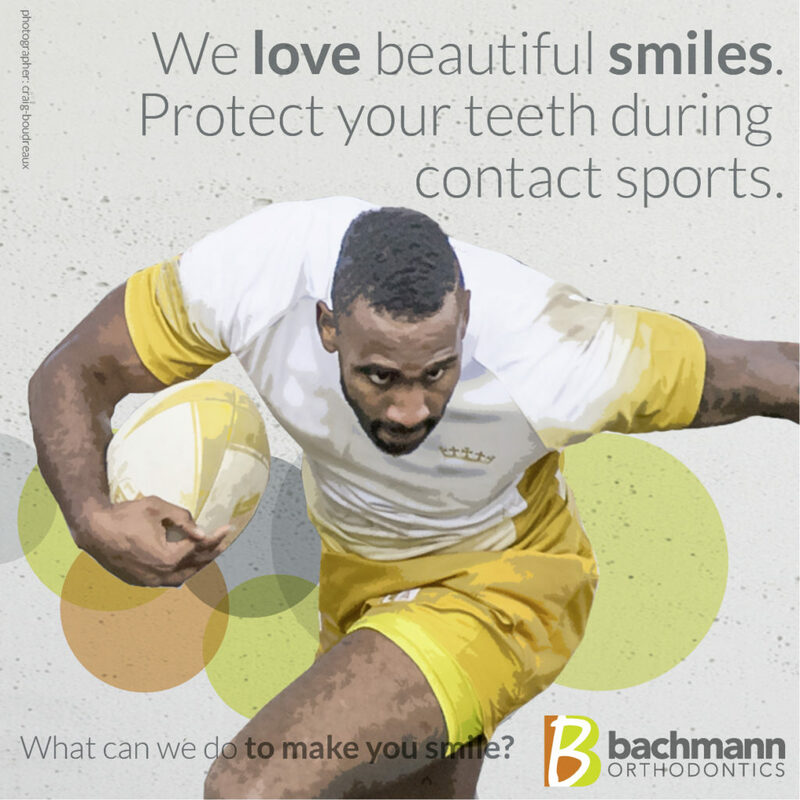 It’s critical to protect your teeth during contact sports. And it’s so easy – follow these steps and your smile will be safe. 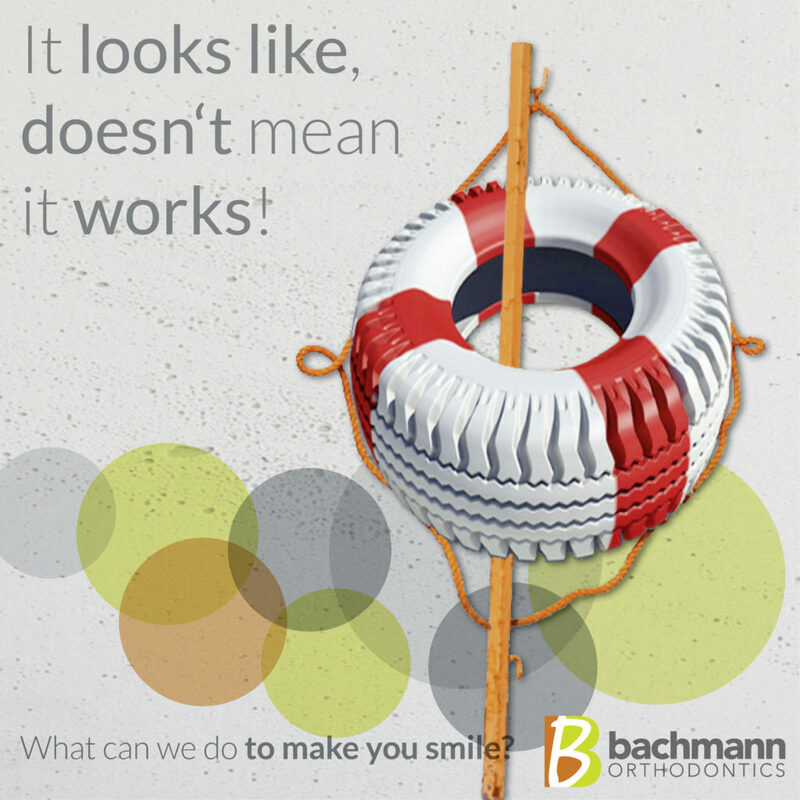 When the mouthguard is ready, return to Bachmann Orthodontics to check that it fits perfectly. 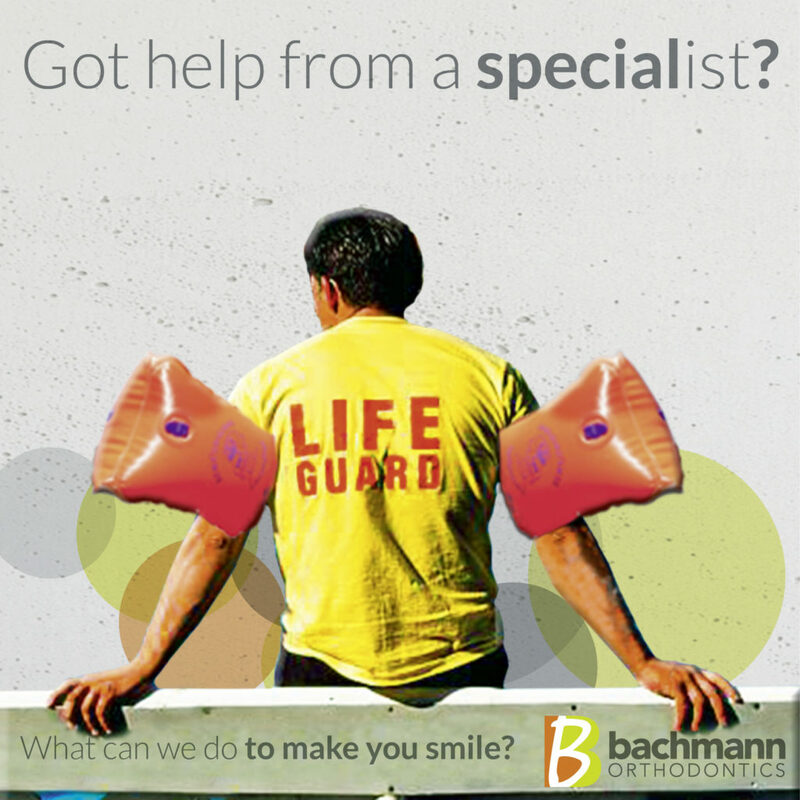 Contact Bachmann Orthodontists today to take an impression of your teeth, or for a consultation to discuss your needs.